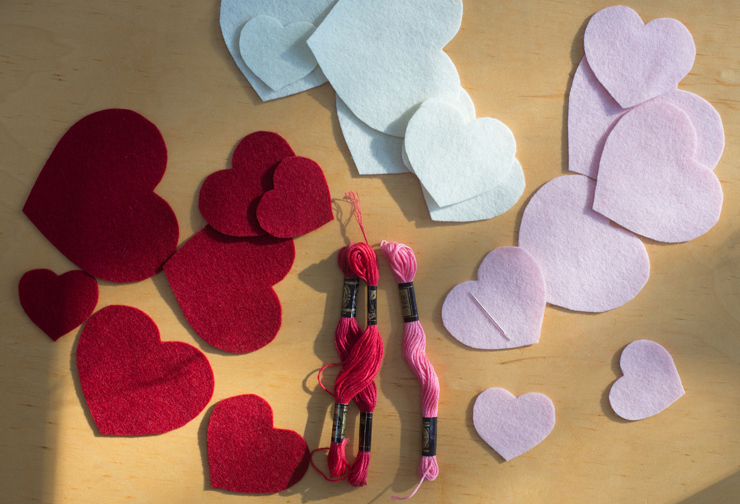 You’ll need a piece of wool felt in your choice of colors, (try our 100% wool felt) a Heart Garland Template, some embroidery floss or thread, and a needle. 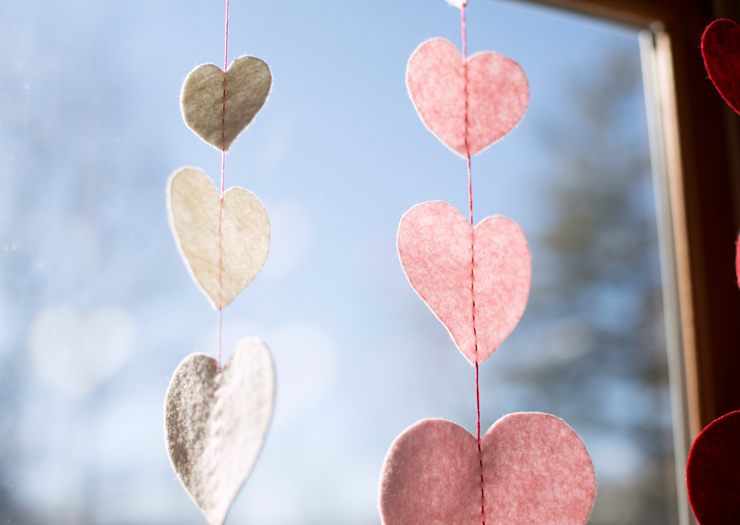 Print out a Heart Garland Template and cut out all the hearts. 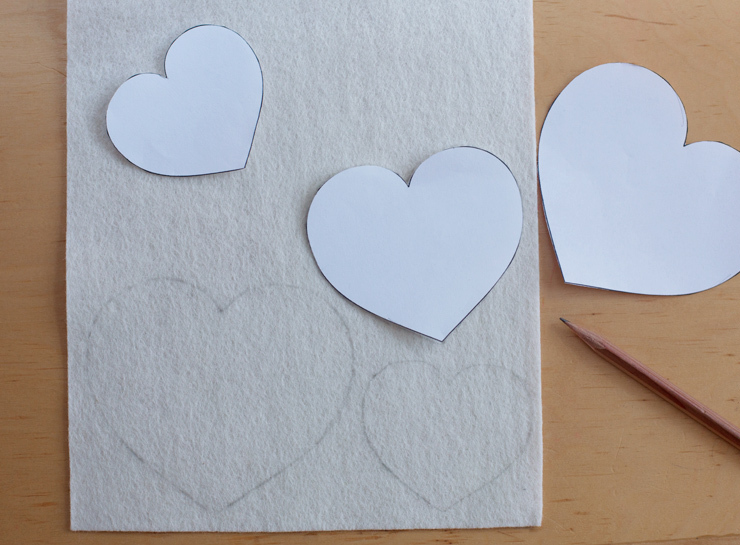 Lay them atop a sheet of wool felt (you should be able to get one large heart and two each of the three smaller hearts on a single piece of felt) and trace around them with a pencil. Try to cut along the inside of your line so the pencil won’t show when you hang up the garland. Repeat until you have 7 hearts (two each of each size except the largest, which will be solitary in the middle) in each color you’d prefer. Next gather up your supplies: seven hearts in each color, embroidery floss and a needle. 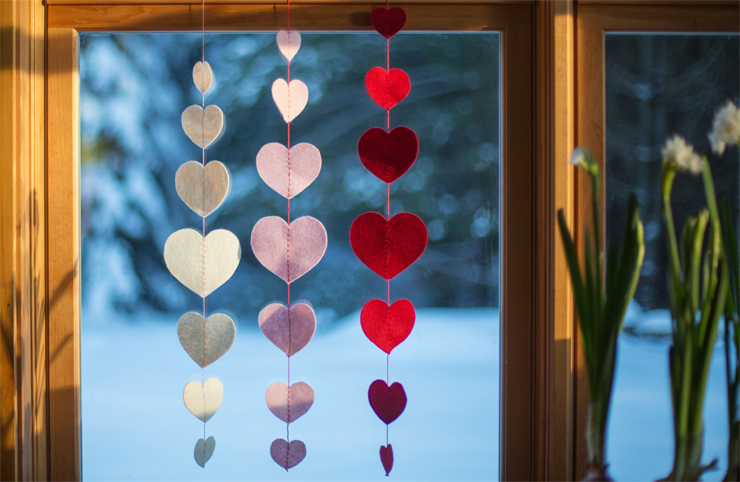 Take a length of embroidery floss (in a similar or contrasting color to your heart) about 3 feet in length. Knot one end. 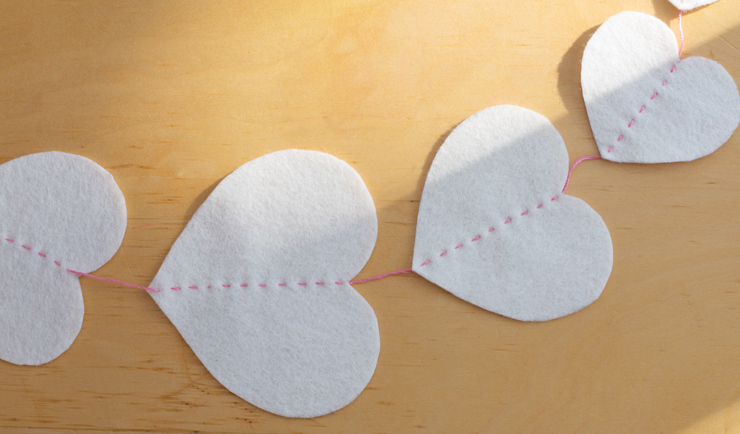 Beginning at the bottom of one of the smallest hearts, use a running stitch to sew up the center of the heart. 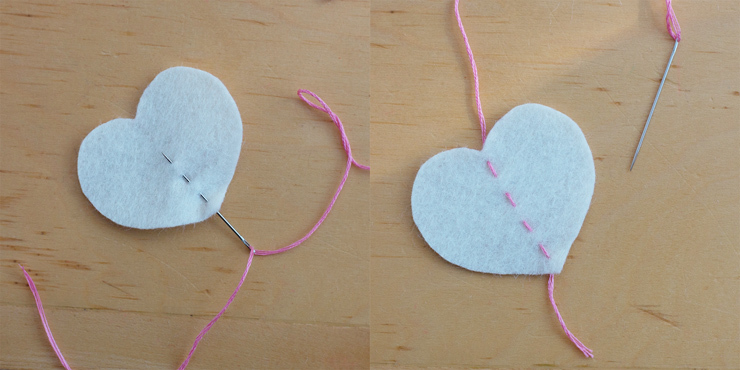 Push this little heart to the bottom of the floss (you may trim the extra floss at the end). Continue stitching through the center of each heart, going from smallest to biggest, then back to smallest again. Space the hearts about an inch or so apart on the floss. I made three garlands, one for each of my chosen colors, but you can mix and match however you’d like. 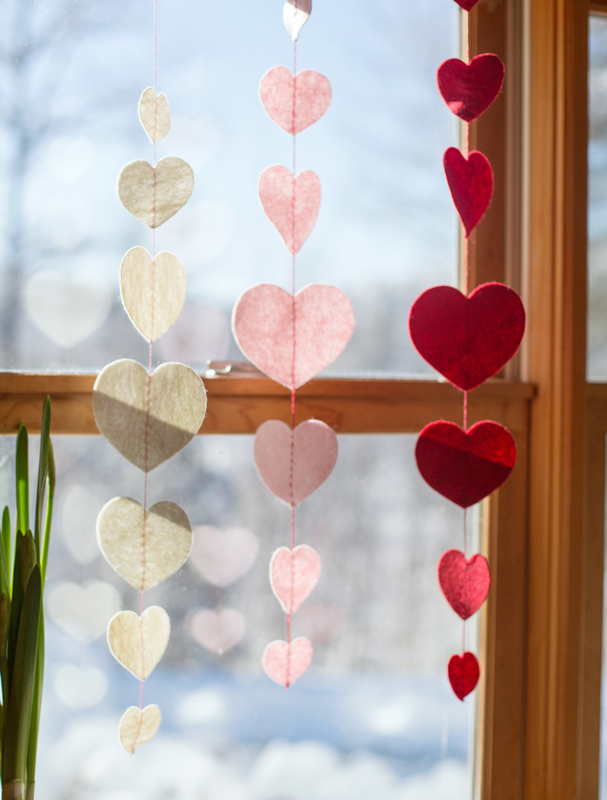 Use some tape or a thumbtack to hang your hearts in a window where they’ll catch some sun and spread warm cheer through the house.